Poor blood circulation can make hair loss worse. Did you know that poor blood circulation in your scalp can cause or exacerbate hair loss? Your hair will shrink and die if it does not receive an adequate amount of blood, nutrients, lymph and oxygen. 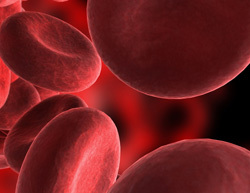 Blood reduction to the scalp can also occur due to high stress which causes muscles to tighten. This reduces blood flow to the extremities of the human body such as head, feet and hands. The capillaries that feed the hair roots and follicles become constricted, which prevents the flow of blood. The hardened crystals that form from hair perspiration and sebum can cause poor blood circulation. They foul up the follicles, which causes the surrounding tissue to harden. This restricts the blood flow to the follicle. The build-up of these crystals can be prevented by using apple cider vinegar as a final rinse after shampooing. These crystals can also limited by using jojoba oil as a hair gel. Sebum also carries DHT, which is related to hair loss in male pattern balding. Chlorophyll can remove sebum, and it is in the chocolate flavored “Help Hair” whey protein concentrate formulation. Stress also causes the scalp to tighten, making the hair thinner and more inclined to hair loss. Also, tightening neck muscles and arthritis restrict blood flow to the head. This can be countered through neck massage. A regimen of movement activities and exercises can help to increase blood circulation to the head. Scalp massage can also be effective if it is done at least twice-a-day. Move your scalp in two directions with your fingertips back in forth in a circulating motion. Avoid scratching or rubbing the scalp to prevent damaging the scalp or breaking off the hair. Kudzo Root is a Chinese herb that is the second-richest plant source of isoflavenones. Research shows that Kudzo Root may have a positive effect on blood flow and microcirculation. Additionally, niacin, which is vitamin B-3, helps to improve circulation including blood flow in the scalp. Both Kudzo Root and Niacin are in the Help Hair supplement. Blood circulation is one hair loss cause that you have some control over. By doing some of the recommend techniques listed here you can help yourself to have better hair for a longer time. While these techniques may help to prevent or delay the onset of hair loss, especially male pattern balding, the only permanent solution to most cases of hair loss is hair transplantation surgery. 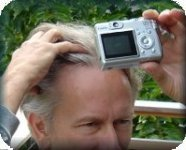 This entry was posted in Baldness, Hair Damage, Hair Health, Hair Loss, Hair Transplant, Hair Transplants, Herbal Treatment on March 15, 2010 by Larry Shapiro.